And we would like to thank you for your support in 2017! It has been another busy year for PATHFINDER. Highlights include our first humanitarian mission bringing aid to child refugees of Syria, being invited to the prestigious Emerging Innovators Bootcamp by Ashoka and the American Express Leadership Academy, and being awarded a scholarship to attend the Social Venture Institute’s gathering at Hollyhock, Victoria. We published several articles of which we are proud, and we made a variety of new partnerships. 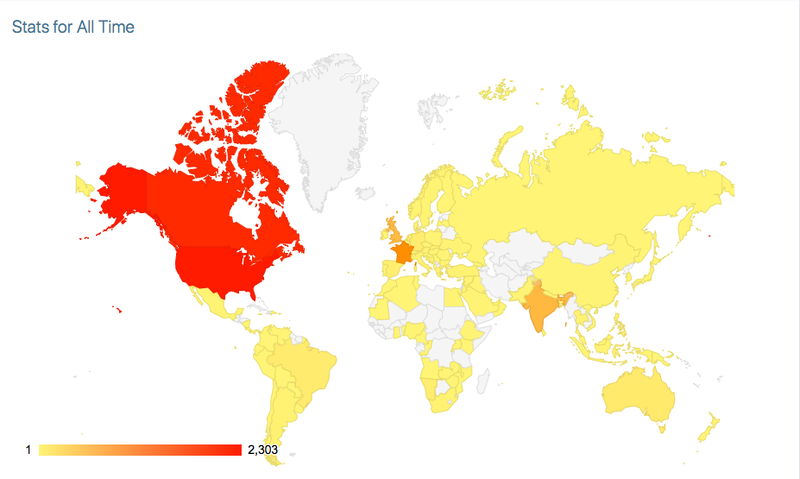 PATHFINDER’s Reach: We have now had many visitors online, some from the furthest parts of the world. This realization comes with a tremendous sense of humility and responsibility. There’s nothing we desire more than to serve well. Looking on, 2018 is shaping up to be another exciting year for us. We’ll be entering our third year, and while we’re proud of what we’ve accomplished in a short time, we’re focused on a future full of tremendous potential. Thank you, so very much; and until the next time, we wish you happy holidays and a wonderful new year!